This trilogy contains works that stand among the greatest orchestral achievements of the 18th century: Symphony No. 35 in D Major, "Haffner," a bold and innovative effort; Symphony No. 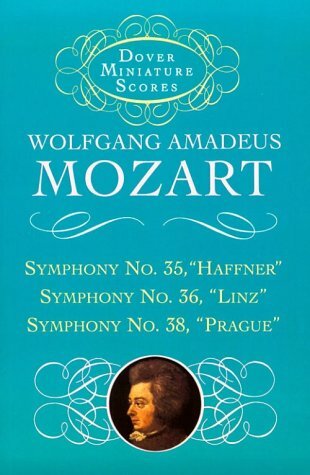 36 in C Major, "Linz," long considered expressive of Josef Haydn's influence; and Symphony No. 38 in D Major, "Prague," a work of impressive structure and lively movement. Reproduced from the authoritative Breitkopf & Hrtel editions.